Preparing for an emergency or natural disaster is essential for survival. If you find yourself without the basic necessities, then you will likely be in trouble. There are a lot of things for survivalists to do when preparing for a disaster or any unexpected emergency. Some of the things may seem easy, but some may be difficult. Being prepared for unexpected situations involves more than keeping supplies on hand. You may need to know how to start a fire if you have no matches or how to grow your own food. 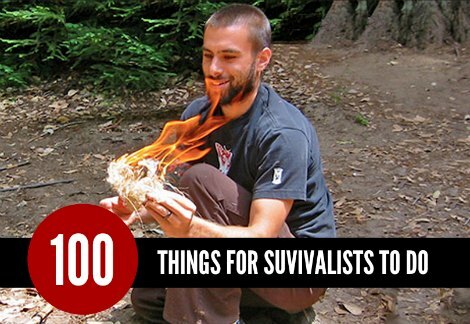 There are also various other things for survivalists to do, you may have never considered. Keeping things clean and ready to use is one of many things for survivalists to do when preparing for any unexpected event. There are many things that may seem really awesome, but you will need to make sure to do only the things that will be beneficial for your needs.